If you require the services of a tree surgeon in Middlewich or surrounding areas please consider Acorn 2 Oak as your first port of call. 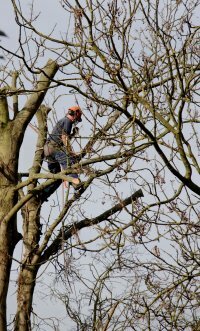 We offer a high quality and cost effective tree surgeon service to all clients throughout the Cheshire area. Our quality and standard of workmanship is next to none and our pricing is very competitive. Call us now for more information if you are looking for a tree surgeon in the Cheshire and North Manchester areas. Why not call us today and see how we can help you? We promise you won’t be disappointed with our high level of expertise and excellence! We endeavour to match or beat any written quotation. Acorn 2 Oak has been established for 5 years and we boast over 10 years experience in the industry. During this time we have built up a hard to beat reputation throughout the local area due to our low cost, professional and efficient services. We pride ourselves on the quality of our services which is why we never compromise on quality and we aim to make sure every job we complete is a job well done. So, if you need tree pruning in Cheshire csend us a message by filling in the ‘Contact Us’ form on this website.